Lather Up for Conservation with Eartheasy! Disclosure: Please note that this is a sponsored post. I received special perks in order to facilitate this review. However all thoughts and opinions expressed below are my own. For more information, please refer to the disclosure that can be found at the bottom of this post. 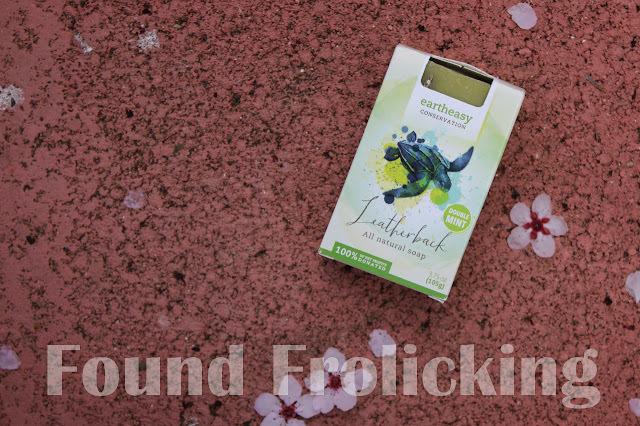 Eartheasy is a popular, family-owned destination to find products for sustainable living. From products for composting, to bedding, to energy efficient lighting, Eartheasy is a wonderful source to find the items you need for everyday living. 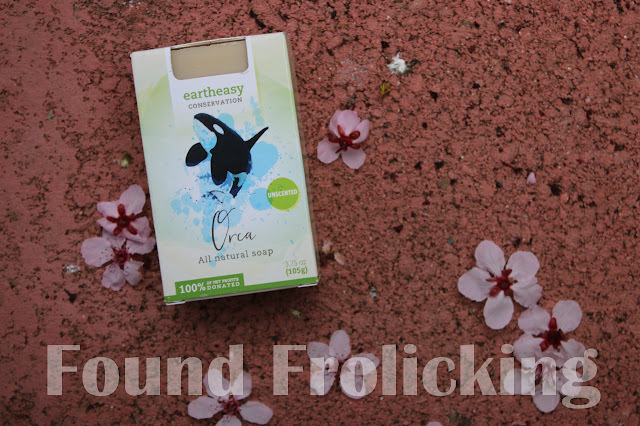 The new line of Eartheasy Conservation soap bars are a great bath product that also do good. 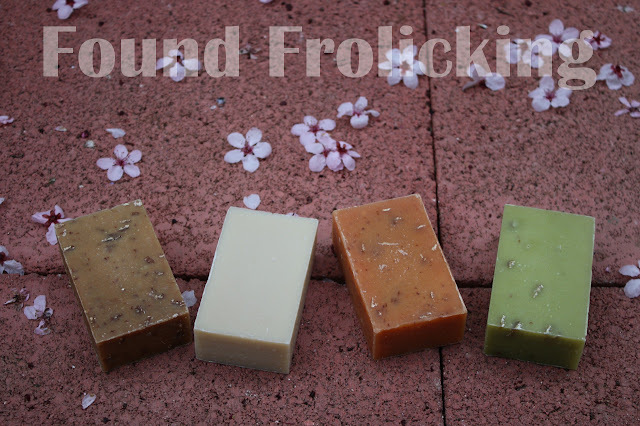 These beautifully designed soap bars come in four scents, are proudly handcrafted in the USA, are budget-friendly, and make a wonderful gift! 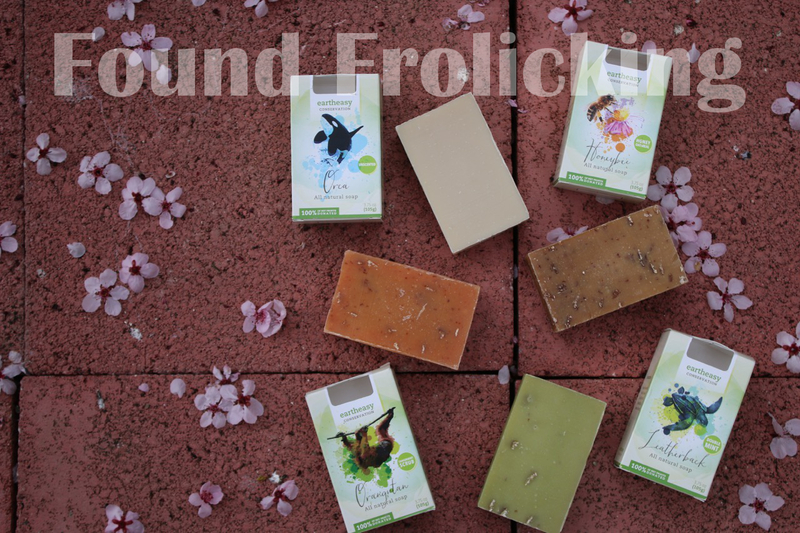 These soap bars are all natural, made using responsibly harvested palm oil, and are free of phosphates, sulfates, and parabens. Essential oils are infused into three of the bars to provide a beautiful scent without any of the nasty stuff that comes along with artificial fragrances such as parfum. Orca Bar - 100% unscented, this bar is perfect for those with sensitive skin. This soap keeps things simple and contains only three ingredients! No added fragrance or colors here. 100% of the net profits from these soap bars go to Ocean Alliance. Orangutan Bar - A sweet, citrusy bar that will tantalize your senses. Tangerine, peppermint, and oatmeal work together in this bar to provide you with a refreshing, exfoliating soap. All net profits from the Orangutan Bar go straight to Borneo Orangutan Survival Organization. Leatherback Bar - Here's the one that's a hit with the guys! This invigorating bar is filled with peppermint and spearmint and will leave your skin with a unique feeling of freshness. Net profits from these bars go to SEE Turtles, a conservation organization dedicated to the protection of endangered turtle populations. Honeybee Bar - Bee sweet! This exfoliating honey oatmeal bar is a classic. The balance between the soothing honey and the gently exfoliating oatmeal make this a perfect facial bar. Soft scent to it, but undeniably sweet. 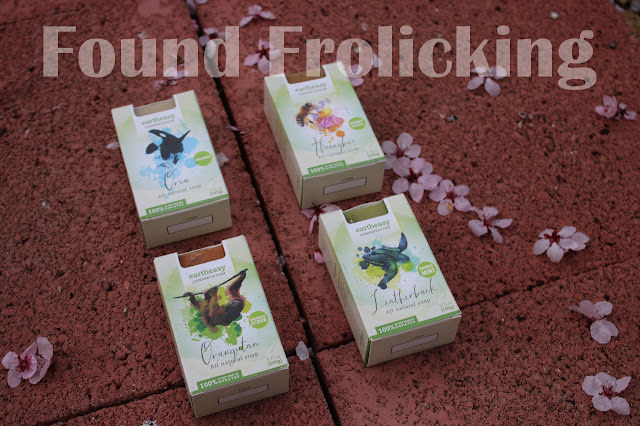 100% of net profits go to Pollinator Partnership. 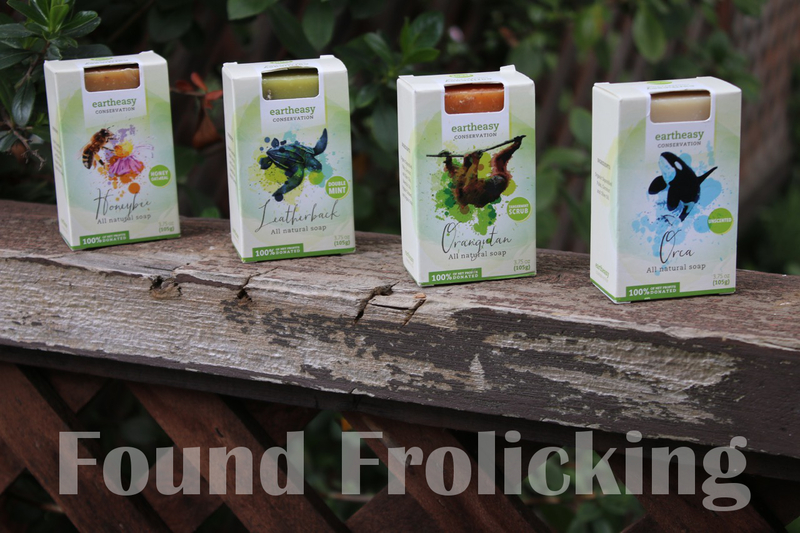 I received the full product line of Eartheasy Conservation soap bars, and my entire family was thrilled with them! My sister, who has mild rosacea, has been raving about how gentle the Orca Bar has been on her skin. Even my father, who has very little interest in natural products, was won over by the delightful Leatherback Bar. My husband favored the mellow Honeybee Bar, while I leaned towards the stronger, sweeter scent of the Orangutan Bar. The soap bars lather well and leave you feeling squeaky clean. 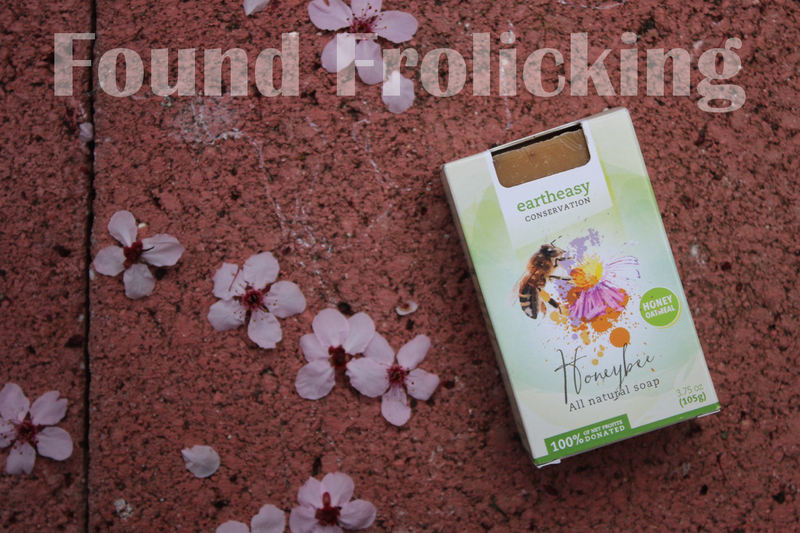 The texture especially that you can find in the Honeybee Bar is gentle but extremely cleansing. Each and every bar is fantastic, and I will purchase them in the future with confidence, knowing that I can expect quality, and support conservation efforts, too. At only $5.95 each, they're an absolute steal! Find your favorite! To purchase any of the soap bars from the Eartheasy Conservation line, please visit their website today. 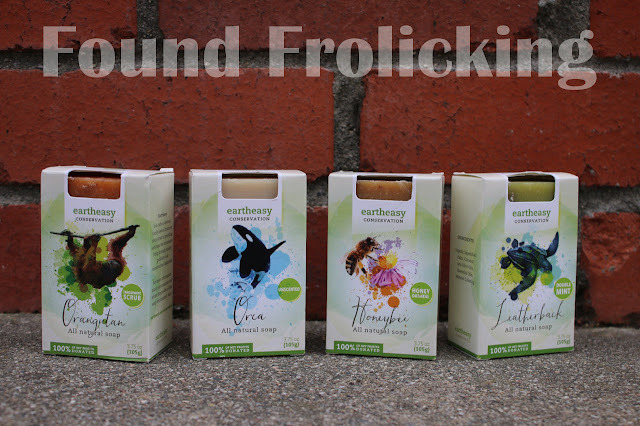 The full line up of Eartheasy Conservation soap bars. From the simple Orca Bar to the refreshing Leatherback Bar, there's something for everyone! 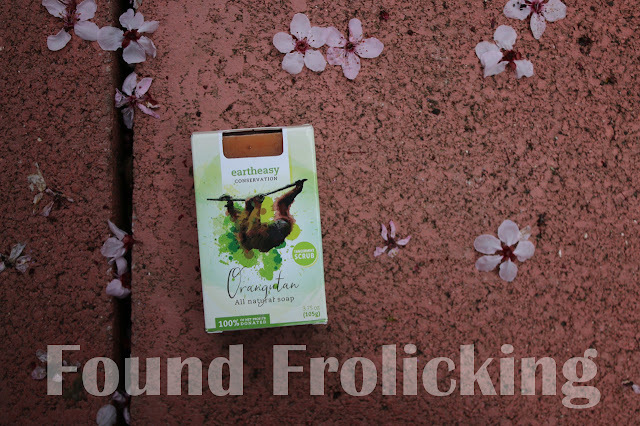 These all natural soap bars help conservation efforts by donating 100% of net profits. A look at each soap bar next to their packaging. Use one or use them all, the Eartheasy Conservation bars use only the best ingredients. With their beautifully illustrated packaging, they are perfect to purchase for yourself or as a gift. A closer look at the Orangutan Bar. Up close look at the Leatherback Bar. The sweet and soft Honeybee Bar. Disclosure: This is a sponsored post. I received compensation in order to facilitate this content. However, all opinions expressed are my own, and were in no way influenced by the brand or any other sources. The review and all photos with the watermark are the property of Found Frolicking, and should not be used or distributed in any way without first receiving permission. If you would like to work with Found Frolicking for a review, giveaway, advertising, or promotion of any other nature, please email Lalia at found.frolicking@gmail.com. I have been wanting to make a switch to being more green, so I think I need to check them out. Seems like a good place to start. These soaps look great. I think I'd enjoy leatherback too, but I love mint! And the SEE Turtle cause. I absolutely love that these donate to a great cause. These looks awesome and I love the detail you put into describing them. Makes me want to pick some up now! I love that they donate to animals! We just went to the zoo, and I was wishing there were more ways to help these animals. What a great company! I'll check them out! I like the different soaps and packaging, they would make nice teacher gifts for the holidays. They would also make great stocking stuffers! These bar soaps are right up my alley. I think the Orangutan scent would be my favorite. I love a fresh, citrusy scent! I believe I'd really, really like that orangutan bar. The combination of fragrances work well for me. I would love to try the mint soap. I'm currently using a body wash and sometimes I think it dries my skin out. Love this green choice, Nice variety to choose from. I want to try each of these soaps ... Thanks for sharing! I love bar soaps! These look like something I would definitely use! Any scent is fine with me :) Love the packaging too! I love the look and packaging of this soap and wow for doing this for a great cause. I hope I can find them here. We go to a special store just to buy homemade soaps. These looks fantastic. I love the scent combination for the Orangutan bar. 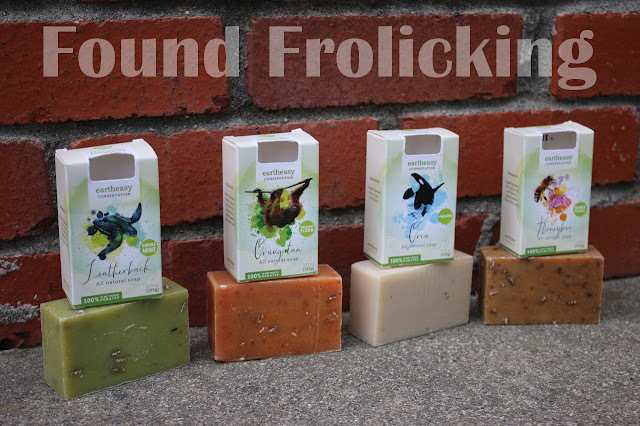 These are totally awesome natural soap. I will have to check these out. I would love to try the Honey Bee bar. Thanks for sharing. Thanks for your information, I want to share something about this. You'll find decided to buy certain premade molds and tend to be these days figuring out how to make easy certain molds of the own personal. Despite the fact that people don’t come up with all of our a cleaning agent people undertake shop for superior thaw together with storage containers . angles and you will be showing any formula regarding some of our webpage on your behalf if perhaps someone is certainly worried about allergen hypersensitivity. People at the same time choose to always keep a good store for components together with smells which you can go with that will pimp out an individual's soaps.